From the beautiful beaches to the breath taking sights, Phuket is a hugely popular destination for tourists across the world. But it isn’t until you see it for yourself do you realise exactly why this stunning island is such a hotspot for foreigners. 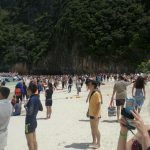 Below is my complete list of things to do in Phuket, however if you can think of anything else, please do add it in the comments at the bottom of the page. 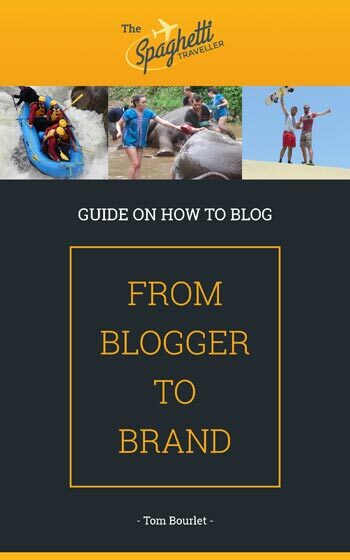 Also, if you are visiting other parts of the country, take a look at my list of things to do in Thailand. 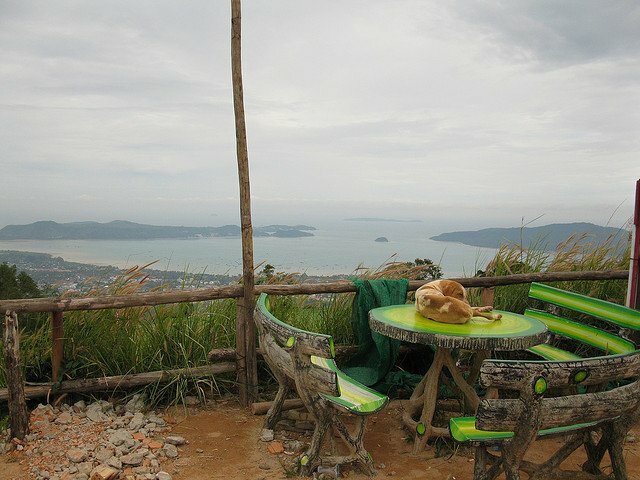 Karon Viewpoint is one to bring your camera to. You will have a brilliant view of three different bays; the bay of Kata, Kata Noi beach and Karon beach. Of course, once you’ve spent a bit of time up here taking photos and relaxing, I’d definitely recommend heading over to the beach for a swim and a pina colada. 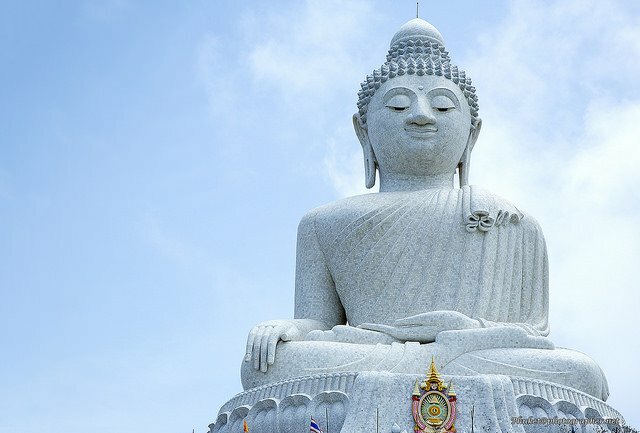 Finally finished in 2010, the 45 metre buddha made of white marble is certainly a spectacle, however getting a photo without others in it can always be a bit of a struggle during peak periods. I like the Buddha as it makes it incredibly easy to find your way around when you have it as a viewpoint, as it is visible from anywhere in the southern part of Phuket. 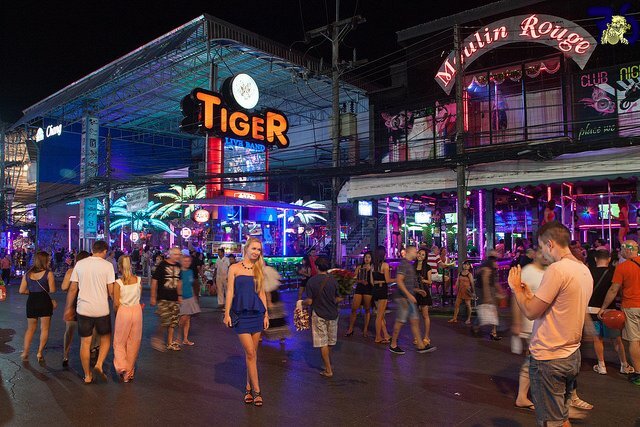 How can you visit Phuket without a sneaky night out. With all the bars, clubs and go-go bars, it can be tempting to spend a bit too much time drinking, but there really are some top spots on Soi Bangla, which is the main strip. I would therefore recommend to proper clubbers who are coming for the nightlife to try and stay on or close to Soi Bangla. 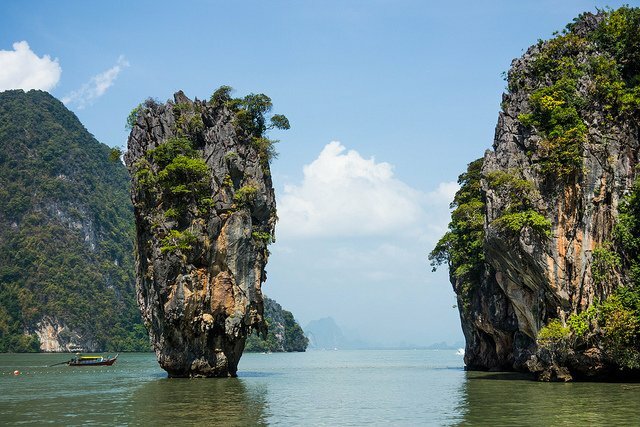 This beautiful bay is shaped by limestone formations, while cruise trips are regularly taken around the area. I would definitely recommend taking one of these trips to get a proper view of this scenery you would expect to find in Pirates of the Caribbean. You can also check out a number of lagoons on these trips, definitely worth a punt. You heard me right, you will occasionally catch the elephants down on the beach trying to keep themselves cool by swimming in the water and splashing themselves. 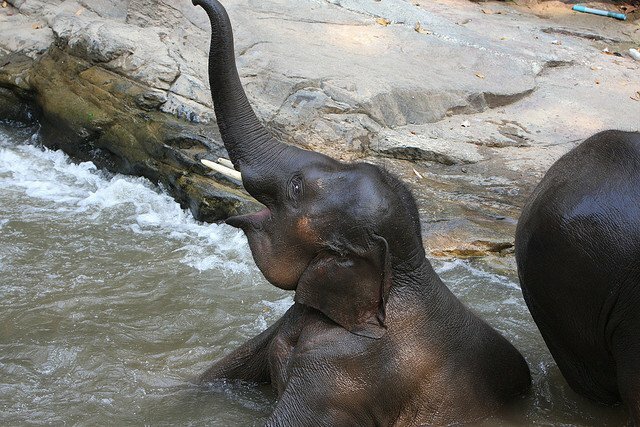 I don’t support the treatment of the elephants in this area, so I won’t promote the elephant parks and other related resorts, however swimming alongside an elephant is completely innocent, so enjoy all you can! I was told the normal time to expect them on the beach was around 3:30pm. It really doesn’t matter which one you pick, as long as you head down into the water to witness the sealife and beauty of the coral. PLEASE don’t take any coral with you! This is something many tourists do, which destroys the environment. If you’re lucky, you might spot a sea turtle! 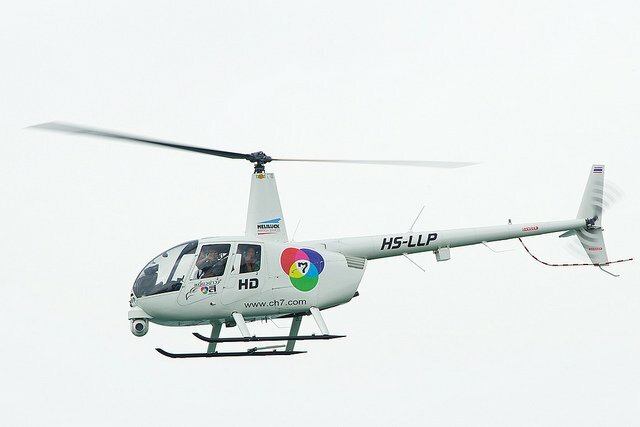 This might be beyond some people’s budget, especially if you are planning on travelling quite a bit, but you do have the option to take a helicopter ride over Phuket, allowing you to see all the views from a completely different perspective, including the Big Buddha from above. Wash your hair under a waterfall, look out for rare exotic birds and admire the gibbons in the Khao Phra Taew park. This is an absolute must for all animal lovers and people who want to get in touch with nature. I was slightly addicted to massages while I was travelling through South America and they are equally as cheap in Thailand. Just be careful with what you order, work out if you want it TOUGH or soft, as a Thai massage is pretty brutal, otherwise ask for a relaxing one. I quite liked getting head massages if I just wanted to chill out. 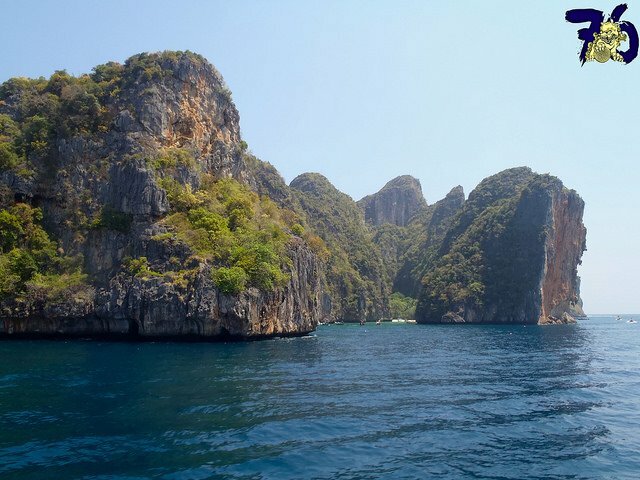 You can quite easily book a tour to the Phi Phi islands from Phuket. 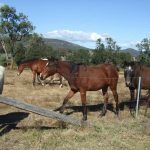 While this might not be something on Phuket, but I have to put it on the list as you will regret it if you leave it out. 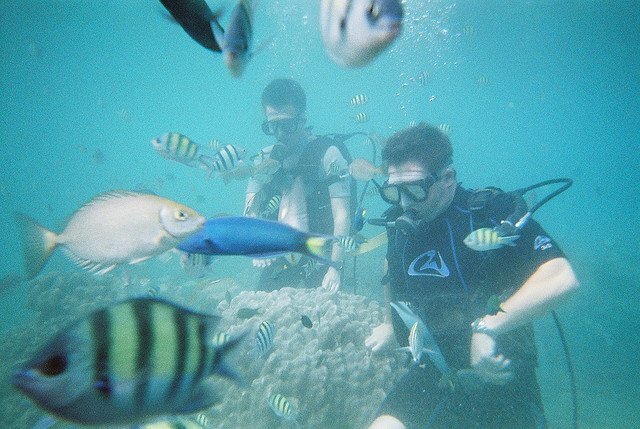 This is also another great point for a bit of scuba diving. 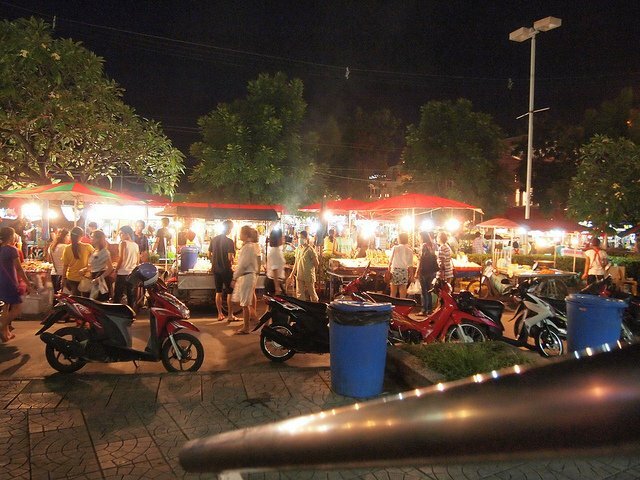 How can you go to Phuket and not check out the markets?? You can take a look around the one in Patong, but I would also recommend the slightly cheaper Naka Weekend Market. Barter on everything and get involved, just make sure to watch your pockets. 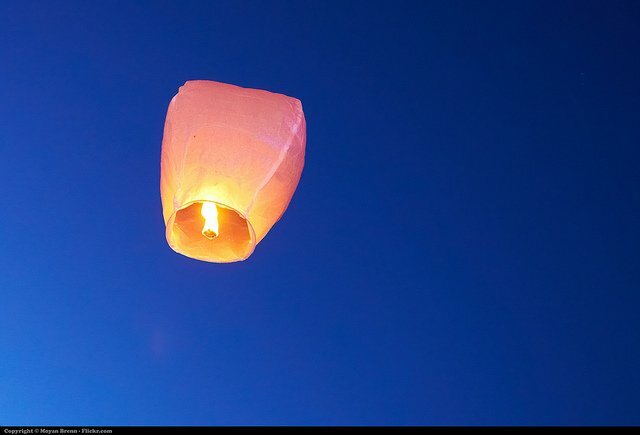 Relaxing on the beach with your new found friends, light up a lantern and then let it float free while you make a wish. Undoubtedly most people’s wish is that they don’t have to return to the real world, but make the most of this magic moment. Oh, catch a picture if you can, as you will always look at the picture and smile, thinking back on the memories.